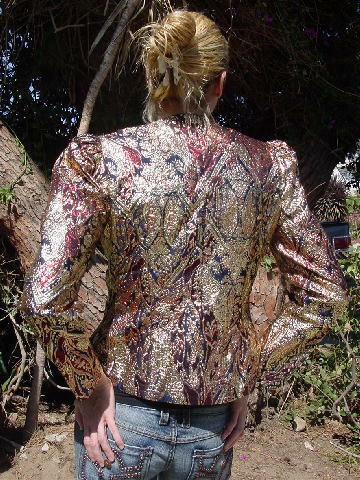 This vintage evening jacket is 40% metallic, 32% rayon, and 28% polyester and has a dark blue full 100% acetate lining. It's a Karen Lawrence by Matthew and was made in America. 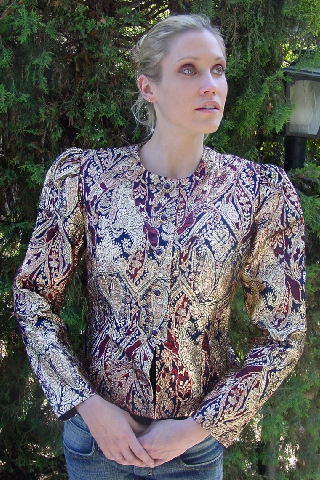 There is a jewel neckline, shoulder pads, and long sleeves. 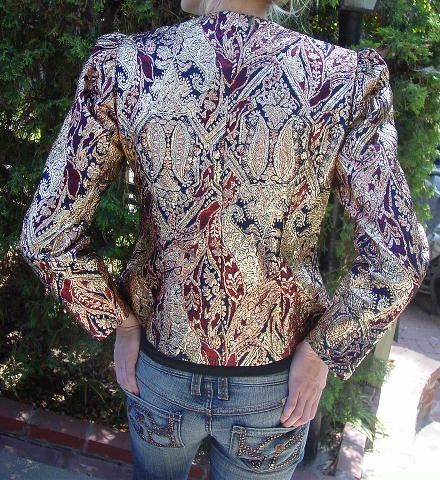 It has five gold-tone metal circular link design buttons with faux purple-eggplant color stones in their centers down the front. The last button is 6" from the bottom hem. 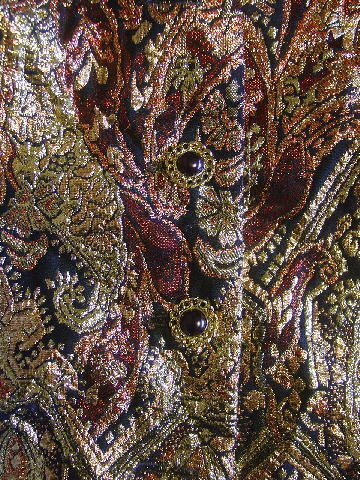 The background color is dark blue with a red and gold metallic thread design. The tag says size 8, but it fits like a size 4/6. It has one hidden top snap below the neckline. It's definitely eyecatching and it looks better in person. shoulder to shoulder 14 7/8"
shoulder to hem 21 1/8"